Joel Vasquez doesn’t live at the gym, it just feels that way, or so he says. The 25-year old wouldn’t have it any other way because he’s self motivated and ready to explode to the next level after moving his record to 4-0 and winning an amateur title. The New York native battles another undefeated amateur also making his pro debut, Santo Curotolo (3-0) out of Nick Catone MMA. The CFFC 66 fight takes place August 5 at the Borgata in Atlantic City. Cage Fury Fighting Championships falls under the Alliance MMA umbrella, a feeder to the UFC. Vasquez is a super talented, a fierce worker, and surrounded by a team that he considers family. 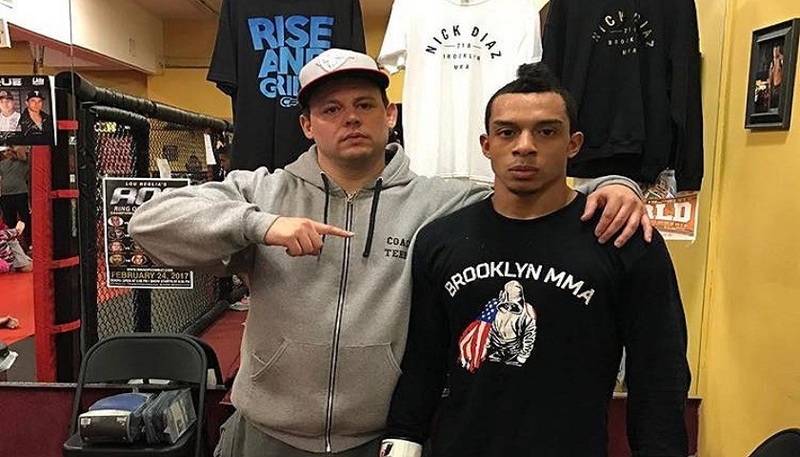 Terry Gold is his head trainer and leader at Brooklyn MMA. 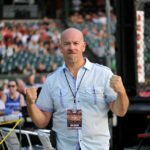 Terry tells me after Joel makes his pro debut, they have three fighters on the upcoming Ring of Combat card in Atlantic City and numerous other MMA and BJJ competitors lined up for action. I’ve known several of the leaders on this team for years and it’s great to see them having such success. Brooklyn MMA is consistently adding quality fighters and people and becoming a powerhouse. 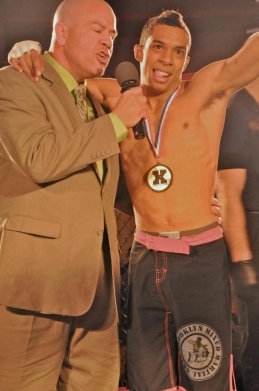 Vasquez spends many hours both teaching, and learning on the mats, in the cage, and in the ring. He’s freakishly athletic and could very easily be a top competitor on American Ninja Warrior if his schedule allowed for it. There’s only so many hours in a day, and Joel is dedicated to his craft in the cage and out. He lives a clean and healthy lifestyle 24/7, not just during training camp. He says that when you add the motivation he gets from his team to what he already has, he can’t be stopped. He was very respectful of his opponent, but has his eyes on a victory on August 5th. Please listen in below as Joel talks about his training and his fight.